Good ideas give rise to winning plans. We support you with detailed information and auxiliary tools with which you can reach your project target reliably. 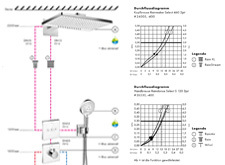 Optimum installation in the customer's bathroom: the brochure provides detailed information and tips on using Hansgrohe shower systems and how to install them safely.